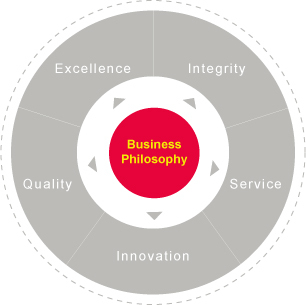 We hold the principles of "Integrity, Service, Innovation, Quality and Excellence" as our business philosophy and "Make difference " as corporate vision. At Sunplus, We strive to steady operation and keep innovation in technology to provide efficient technical support, sales service and complete system IC solutions to meet customers' satisfaction. Being People-Oriented and having Integrity are our top priorities. Our responsibility is to provide customers with the best service. Perfect quality is our everlasting goal. Developing new products based on innovative technology and creativity. Self-surpassing our current abilities is the only means of achieving excellence and continuous breakthroughs in high-tech engineering.